For many people, trying on clothes at a store can be quite a nuisance. However, the moment when you find something that you love, is available in your size and ends up fitting you perfectly is beyond satisfying. Now imagine standing at the billing counter and being told probably the worst words you can hear at this time - that the article of clothing doesn't belong to the store at all. Wait, what? Are you uncomfortable? 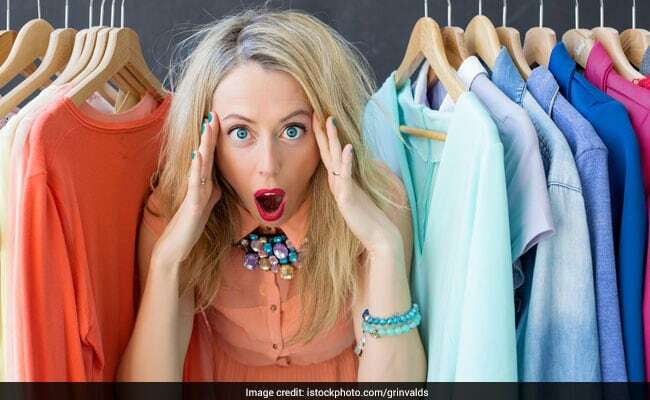 Think of what this woman went through when she realized the lingerie she was about to buy at a store turned out to be someone else's abandoned undergarment. A Twitter user has shared her harrowing experience from a recent shopping trip. Her tweet, since being posted on January 31, has collected over 2.4 lakh 'likes' and more than 48,000 retweets. It has also prompted others to share similar experiences that either they've been through or have heard of making this Twitter thread pure gold. That must have been really uncomfortable to say the least. Turns out this isn't an isolated incident. Twitter has flooded the thread sharing their own some disgusting and some sort of funny experiences on the same lines as this shopper's. Reverse story: friend saw big gorgeous ring in a rack of costume jewelry. Tried it on, no price, so dept store charged her same as other rings. Gets home, sees markings, takes to jeweler for appraisal - it's a 4 ct peridot ring worth $2k someone left while trying on $12 rings. This used to happen a lot when I worked in a shoe shop, people walking out with our shoes and leaving theirs behind, or other customers trying on other people's shoes as they were trying on new ones. threw it five feet into it. Not only did I think it was the most comfortable bra they had, I was willing to pay up to $30 for it. "So... That means it's free right?" Read this to my boyfriend and he asked "did she get to take the bra?" Keep it and wash it. You've already tried it on and was going to pay for it so you liked it. When your other bras find out the new one was adopted they're going to tease it mercilessly. Sorry. I'm crying on your behalf.